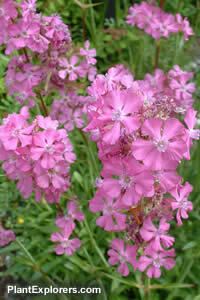 This perennial bears fragrant purplish-pink flowers in mid-spring. Attracts bees and butterflies. Height 6-12 inches; spread 6-9 inches. For maximum freshness, please keep seed refrigerated in its original packaging until it is time to plant. Sow seed in containers in a cold frame in autumn or spring or direct-sow after last frost. If sowing in spring it is possible that cold stratification could help improve germination. Grow in any moderately-fertile well-drained soil in full sun or part shade.